Now, we all have access to transparent, unbiased health information and can make our own purchase decisions - for ourselves. Without the BS. 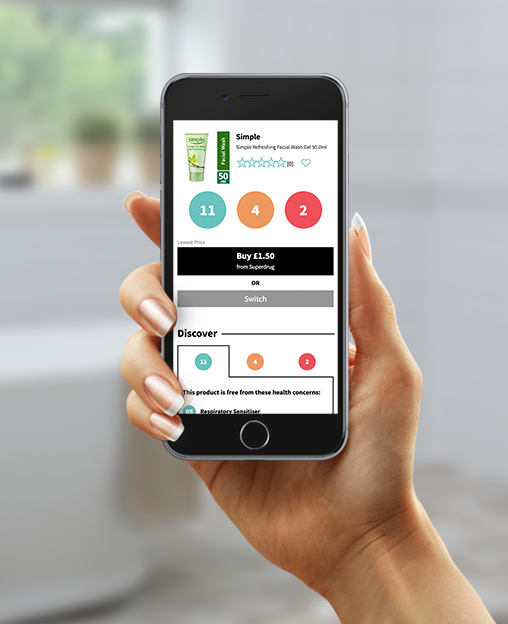 SKINNINJA APP (SkinNinja.com): Driven by the Founder’s own battle with Skin Cancer, Jo Osborne has created a free app that enables consumers to discover what health concerns (such as Contact Allergens and Carcinogens) are in our skincare, cosmetics and personal care products. SkinNinja matches world leading expert evidence (including The International Agency for Research on Cancer and The World Allergy Organisation ), to over 200k ingredients, across 800k products. The UK’s most comprehensive database (and growing). We believe that health information should be a right, not a privilege. It should be transparent and honest – and available to everyone, for free. And so SkinNinja was born. Jo grew up in Australia with an allergy to sunscreen. At 26 she was diagnosed with skin cancer. skincare is currently labeled, it’s almost impossible to manage even one let alone multiple skin concerns. By trade Jo is a lawyer. By passion, she’s a an experienced entrepreneur with a successful exit to Google already under her belt with eyes set well and truly on disrupting the opaque, smoke & mirrors industry of health & wellness. Jo has built an all star female team with a combined experience, ranging from Skype, Microsoft, Babbel, Nortel Networks and Nokia. Not only that, SkinNinja includes a heavyweight advisor team namely Colin Gillespie, Mark Livingstone, Simon Morris & Gary Dannatt. - Full personalisation, only see health concerns that matter to you. Reference and source materials are available on request. This press release was distributed by ResponseSource Press Release Wire on behalf of Sciapps in the following categories: Health, Women's Interest & Beauty, Consumer Technology, for more information visit https://pressreleasewire.responsesource.com/about.